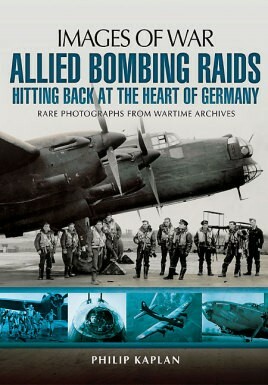 The pilots and combined bombing forces of the Second World War are revered for a host of reasons. Their bravery when cast against the odds, their resilience and determination under fire, and the startling extent of their combined achievements towards the collective end of Allied victory have all been noted and celebrated in a variety of ways since the end of the conflict. Kaplan adds to this celebratory tradition by drawing together an intriguing collection of wartime archive photography in an attempt to illustrate the early stages of the conflict. Before America joined the war against Nazi Germany, the RAF aircrews (many of which were volunteers) were tasked with responding to a unique set of demands in an attempt to hit back at the destructive heart of the enemy. The welding influence of a war which saw teams of young pilots teamed aboard a range of imposing bomber aircraft (including the mighty Boeing B-17), fused a collective resolve and determination that would develop yet further throughout the course of the conflict. The images on display here offer a wealth of insight into this dramatic time.